Washington:- Public beheadings in Afghanistan are usually associated with the Taliban, but on Monday it was Defense Secretary Robert Gates metaphorically wielding the ax from the Pentagon platform. Gates announced that he had asked for and received the resignation of his top commander in Afghanistan, Army General David McKiernan, after McKiernan spent only 11 months in that theater. The 37-year veteran will be replaced by Army Lieut. General Stanley McChrystal. Army Lieut. General David Rodriguez, the Defense Secretary's own top military aide, is to serve in a newly created post as McChrystal's deputy. The Obama Administration has made Afghanistan the central front in the war on terrorism over the past month. It concluded that McKiernan's tenure there involved too much wheel-spinning, even as the Taliban extended its reach, and that there was not enough of the "new thinking" as demanded by Gates. "It's time for new leadership and fresh eyes," Gates said, refusing to elaborate. He noted that Joint Chiefs of Staff chairman Admiral Mike Mullen and General David Petraeus, who as chief of U.S. Central Command oversees the Afghanistan war, both endorsed the move. Officers typically serve about 24 months in the slot, meaning McKiernan served less than half his expected tour. McChrystal proved adept at using intelligence to increase the impact of the troops at his disposal when he commanded U.S. special forces in Iraq as they hunted down and killed al-Qaeda leaders like Abu Mousab al-Zarqawi. And despite what some call McKiernan's shy demeanor and his previous desire to — in Army parlance — "stay inside his lane," McChrystal is eager to take the spotlight. 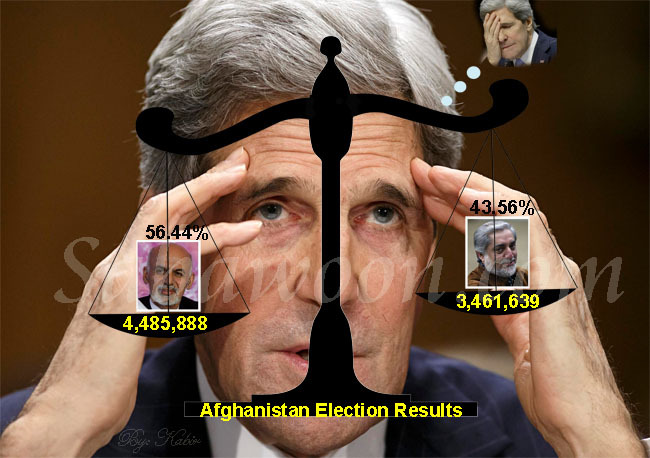 He will also be expected to challenge the Afghan government when it comes to behavior that undermines the war effort. An official with the Joint Chiefs of Staff expects McChrystal to warn President Hamid Karzai to shut down drug-running operations that fund the Taliban, even when their networks run uncomfortably close to Karzai's government. "[McChrystal] will tell him, 'If you don't clean this up, I will,' " says the official. Not everyone welcomed the change, however. Some viewed McKiernan's firing as unfair, noting that he had inherited command of an under-resourced Afghan theater that had been a secondary priority to Iraq. "In Afghanistan, we do what we can," Mullen himself said in December 2007. "In Iraq, we do what we must." And while McKiernan was given his Afghanistan command during the Bush Administration, it was Gates who appointed him — at Mullen's recommendation. Gates took pains on Monday to avoid criticizing McKiernan. He told the four-star general that his Army career was effectively over during a face-to-face meeting in Afghanistan last week. "This was a kick in the teeth, but McKiernan took it extraordinarily well," a senior Pentagon official said. Other military officials were less courteous. "I still can't figure out why they put an armored guy with no Afghan experience in charge," one said. A second senior official said, "Dave McKiernan is clearly part of the Army's old guard — he led troops in [1991's] Desert Storm, for pete's sake. But if things were going better over there, he'd be staying." Gates has long demonstrated an impatience with wartime commanders who passively wait for the military hierarchy to give them what they need. He was stunned by the military's foot-dragging when he ordered additional armored vehicles and drone aircraft to the Afghanistan and Iraq wars. Even though McKiernan's dismissal had been in the works prior to Gates' trip to Afghanistan last week (Mullen warned McKiernan two weeks ago that it was coming), Gates was incensed by some of what he witnessed during that visit. Several troops complained that they lacked basic gear after arriving in Afghanistan. "It is a considerable concern to me," he said on May 7, brushing off a suggestion that the Taliban or the priority given to Iraq were to blame for the Afghanistan shortfalls. "It's more, really, a logistical challenge than it is anything else," Gates said. That, one of the Defense chief's top aides said, is an unacceptable failure in a theater of war. "McKiernan never quite figured out how to ensure that he would succeed — he was still too dependent on the organization coming to his rescue," the aide said. "Sadly, this institution doesn't always do that."